It has been a while since Samsung released an iPhone bashing advertisement, some of the latest ads for the Galaxy S6 have not even mentioned the arch rival but the company is going back to its old ways with two new ads that it has released today. The new ads are part of the company’s “6 > 6″ campaign which aims to show all of the things the Galaxy S6 and S6 edge are better at than Apple’s flagship smartphone. The first ad highlights the wireless charging feature in Samsung’s latest flagship, the company has actually been promoting this feature quite aggressively recently. It also mentions the wide angle camera as a major plus point over the iPhone 6. 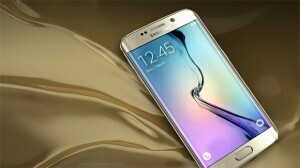 The second ad promotes the Galaxy S6 edge and its dual-edge curved display, along with the features that it brings which obviously can’t be found on other devices, not even on the iPhone 6. Samsung will soon begin airing these advertisements on TV as part of the 6 > 6 campaign, it’s the marketing push the company recently talked about to further increase sales of the Galaxy S6 and S6 edge.